Nearly 1/3 of American women report being sexually or physically assaulted by a current or former partner at some point during their life (National Violence Against Women Survey, conducted from November 1995 to May 1996). No matter how grim, statistics cannot begin to reveal the devastating impact of abuse and violence on victim’s families, loved ones, friends and colleagues. There are steps we all can take. To offer support or report instances of domestic violence, call The National Domestic Violence Hotline at 1.800.799.SAFE (7233) or visit their website. 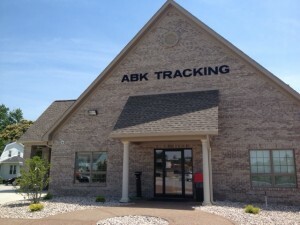 ABK Tracking’s ability to proactively monitor sobriety compliance can attribute to the reduced risk of alcohol related instances of domestic violence. ABK’s monitoring solutions, when integrated into strict community supervision and counseling program can help break the cycle of violence. Active GPS can be used to ensure the monitored individual attends anger management classes (inclusion zones) AND avoids locations frequented by the domestic violence victim (exclusion zones). When the offender becomes non-compliant, both the victim and the supervising agent can be immediately notified via cell phone or landline.